Pillow causing you sleepless nights? Then it’s time for you to say hello to the new Malouf Zoned Talalay latex pillow! 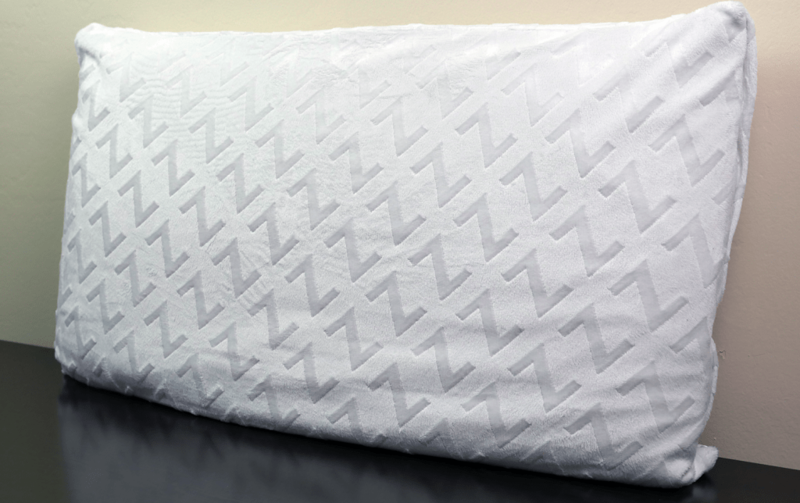 Malouf has designed this pillow to fit the needs of virtually any sleeper. With several different levels of firmness, lofts, and weights, this Talalay latex pillow can create great support and comfort for many types of sleepers. But will the Malouf pillow pass the rigors of the Sleepopolis sleep test? Continue reading below to find out! 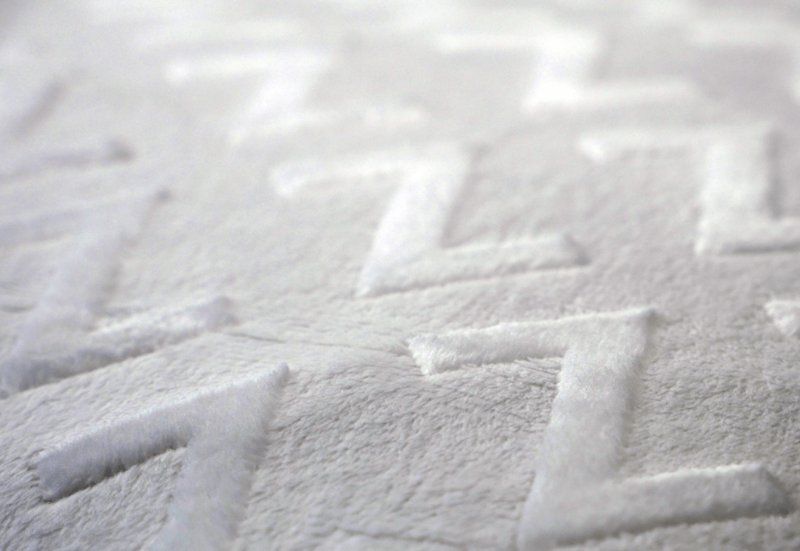 Bouncy, all-natural latex makes this pillow great for eco-friendly sleepers! Don’t have time to read the full review? Click here to hop on down for a quick summary. The Malouf Zoned Talalay latex pillow is built from 100% Talalay latex with no synthetic additives. Along the latex are several holes designed to optimize comfort levels while you sleep. On the inner portions of the pillow are large holes and the outer portions have smaller holes. These holes are designed to cradle your head while supporting your neck. Additionally, these holes were included within the latex to help improve breathability, airflow, and cooling. The cover of the Malouf latex pillow consists of polyester (75%) and rayon from bamboo (25%). These materials come together to make a very soft cover. Additionally, it has a notable thickness to it for added comfort. The cover of this pillow is removable and machine washer / dryer friendly. Aesthetically, I like the look of the cover. It has a very smooth texture about it, as well as a large representation of the Zoned “Z” brand. Overall, I like the style of the cover, the fabric and patterned Zoned print mesh well together. Even though a pillow case will be placed on top of the cover, it is always nice to have a pillow with a sleek, modern look to it. Due to the 100% latex construction, the pillow is quite moldable. 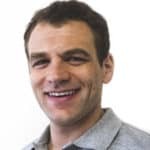 The pillow moves and changes shape easily so you are able to arrange the pillow in a position that is most comfortable for your sleeping style. For this review I tested the Queen size, low loft plush pillow. This particular model weighs 2 pounds and has a loft of 4.5″. With a weight of 2 pounds, the pillow is easy to move around and flip over. As a stomach and side sleeper, I tend to change positions a few times during the night and usually need to move my pillow around. The lighter weight and moldability work great together; I don’t feel like I have to fight to get the pillow into the position I need. The most important feature of this pillow is support. As mentioned earlier, when looking at the actual latex itself you see small holes on the outer portions of the pillow. Inside of those small holes are larger holes. The larger holes are designed to cradle your head. The smaller holes were put into place to support your neck while the larger holes cradle your head. This combination makes for a good amount of support, but not a pillow so hard that you feel as if you are not able to sink into it. In fact, there is actually a good amount of sinkage offered. As a stomach sleeper, this pillow did an excellent job creating the moldable support that I needed. For back and side sleepers, Malouf has a model of this pillow designed to fit your needs. Loft and firmness varies based off of your sleeping style and preference, but there are a wide variety of options to choose from for all sleepers. Below is a quick list of general guidelines to help choose the right pillow customization preferences for you. Offered in King, Queen, and Standard sizes – each of these sizes can be purchased with different lofts (high & low) and firmness levels (plush & firm) as well. Slight smell – when first taking this pillow out of its package there was a notable smell. It wasn’t horrible, but definitely something to note if you’re a sleeper who is sensitive to smell. It took about a week of use before the smell was completely gone. 5 year warranty – Malouf will replace, repair, or refund your pillow within 5 years if it is deemed defective. Normal wear and tear is not covered under their warranty. Who should buy the Malouf Zoned Talalay latex pillow? Overall, I am impressed with the Malouf latex pillow. The materials are quality, the build is solid, and the multiple lofts / weights / firmness levels make this a great option for most sleepers. While smell was a less than ideal, it dissipates within a week and isn’t a significant long term issue. Want a 100% latex pillow – this pillow is made up of 100% Talalay latex. What does that mean? High breathability, good support, and a very dependable pillow. Want great value – at less than $70 it’s hard to beat the value on this pillow. Very few companies produce a pillow at this level for this price. Want customizable comfort – available in both high and low loft, and high and low firmnesses, this pillow has multiple options making it a good choice for back, side, and stomach sleepers. Want a pillow that cradles your head – designed with comfort zones, the Malouf latex pillow has the capability to both cradle your head and support your neck at the same time. Specific holes were put into place in the latex so that the pillow would give more in certain areas (middle of pillow) than others (edges). 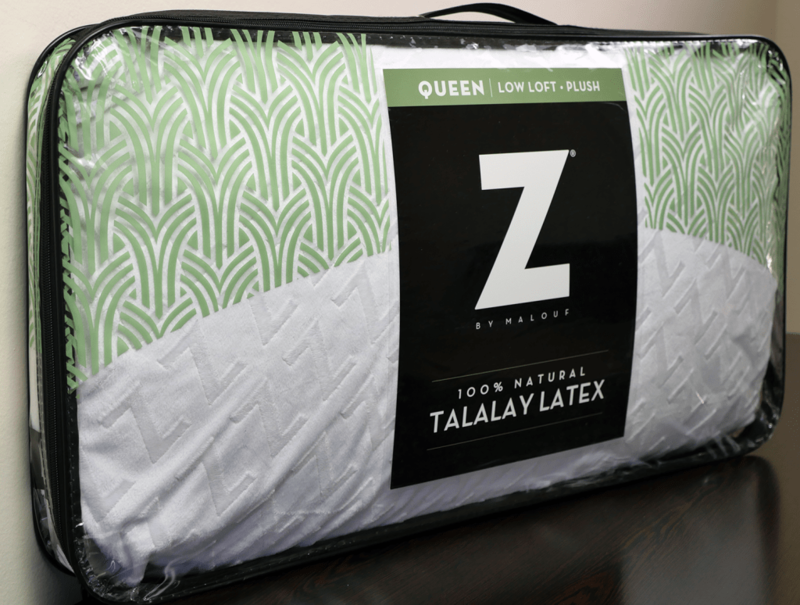 Looking for more information on the Malouf Zoned Talalay latex pillow or ready to buy? Visit MaloufSleep.com or Amazon.com. The Malouf Talalay latex pillow is more than just a bedroom accessory. It’s a comfortable, supportive, stylish, and dependable pillow. The design of this pillow is impressive. The ability to cradle your head, while supporting your neck makes for a great night’s sleep. With so many different sizes, firmness levels, and lofts offered in this pillow, it is hard not to find one that will fit your specific needs as a sleeper.